Happy Halloween, Yorktown! To help everyone have a safe and happy October 31, we've compiled a few safety tips to keep in mind while trick-or-treating this weekend! 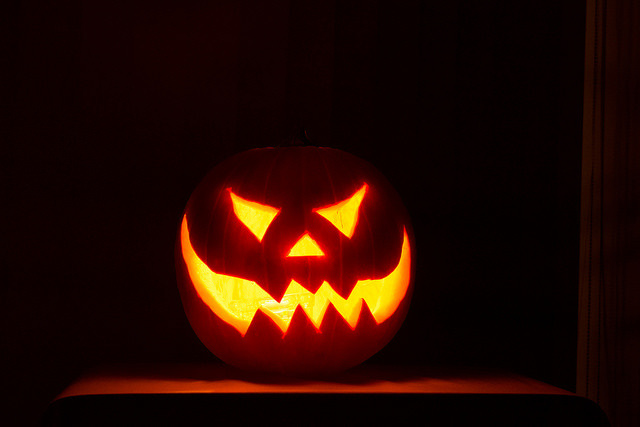 And make note: According to the Newport News government website, this year's trick-or-treating is to take place between dusk and 8 p.m. on Saturday, Oct. 31; trick-or-treating is reserved for children 12 and under. 1) Examine all treats before eating them. Avoid homemade treats, treats no longer in their original factory packaging, and treats with torn wrappers. 2) Fasten reflective tape to all costumes. To further increase visibility, carry a flashlight or glowsticks. 3) Remain on well-lit streets. Always use the sidewalk or walk at the far edge of roadway facing traffic; obey all pedestrian traffic laws. 4) Map or plan out your trick-or-treating route. Stay in familiar neighborhoods. 5) Always stay in a group or with an adult. Never approach a house by yourself. 6) Costume accessories such as swords and knives should be short, soft, and flexible. 7) Look both ways before crossing the street. Be sure to walk; don't run! 8) Wear well-fitting masks, costumes, and shoes to avoid blocked vision, trips, and falls. 9) Avoid walking near lit candles or luminaries. 10) Friendly reminder for Yorktown residents: If you do not wish to participate in passing out candy at your home, please post a "No Tricks or Treats" note (or something similar) on your door so that your home won't be bothered.